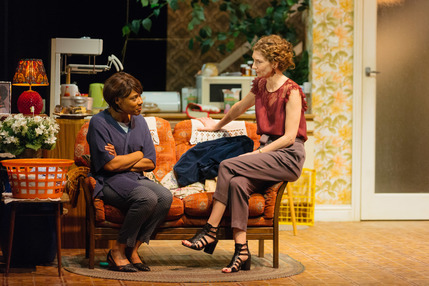 Following a smash hit sold-out run at the National Theatre, Nine Night, Natasha Gordon's "remarkable debut play" (Evening Standard) transfers to Trafalgar Studios in the West End. When Gloria passes away after a prolonged illness, her children and grandchildren mark her passing with a traditional Jamaican Nine Night Wake that brings together friends and relatives for a party full of music, food and sharing stories that lasts over one week. The endless parade of mourners pushes the family to the brink in Gordon's touching drama, directed by Roy Alexander Weise.